Hovhannes Zardaryan was born in the family of craftsman in Kars (now in Turkey). During the massif exodus following the Armenian Genocide, Zardarians moved first to Armavir, Russia, then Krasnodar (Russia) and finally established in Tiflis (Georgia). 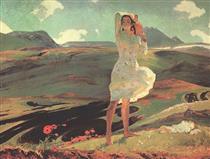 1933 - After attending painting classes at the Art School of Tiflis Hovhannes Zardaryan moves to Yerevan. He enters the Applied Arts School and graduates four years later from the studio of Sedrak Arakelian and Vahram Gaifejian. 1937 - Zardaryan continues his studies the Institute of Fine Arts and Architecture of the Russian Academy of Arts of Leningrad. 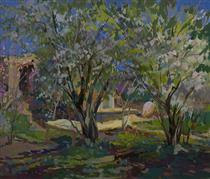 By his return to Armenia in early 1941 Zardaryan is distinguished as one of the most promising young painters. 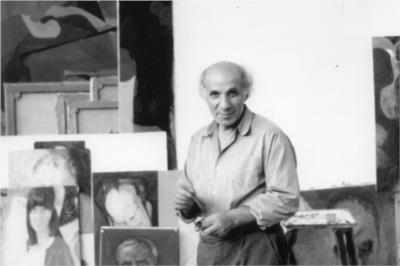 He is one of several artists exempted from military service during the WW II and joins the Union of Artists of Armenia. He returns to Russia in 1944 with the series de still-lives and Armenian landscapes that were selected for the Exhibition of Armenian Art. Back in Armenia Zardaryan collaborated with different artists on the State commanded large scale paintings.. 1956/1958 Zardarian participated in international exhibitions in Prague and India as well as Biennale in Venice. 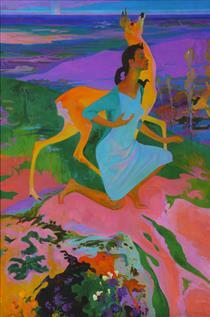 The painting “Spring” wins the Big Silver Medal at the World’s Fair in Brussels. 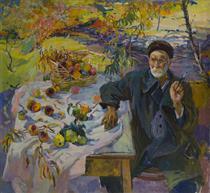 Portrait of Artist Father Hovhannes Zardaryan ?